For the treatment of internal parasites, roundworm, hookworm and tapeworm, in dogs. Milbemycin oxime and praziquantel are the active ingredients in Milbemax®. Milbemycin oxime interferes with nerve transmission in invertebrates, which helps protect against heartworm, roundworm, hookworm and whipworm. Praziquantel causes muscle spasm in tapeworm, which are then attacked by enzymes and disintegrate. It kills all intestinal forms of tapeworm except Spirometra spp, which require a higher than standard dose rate. Milbemax for dogs is a broad spectrum intestinal wormer. 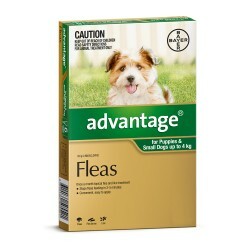 If given monthly, it also offers prevention against heartworm. Milbemax for dogs protects against roundworm (Toxocara canis, Toxascaris leonina), hookworm (Ancylostoma caninum, Ancylostoma braziliense), whipworm (Trichuris vulpis) and tapeworm (Dipylidum caninum, Echinococcus granulosus, Taenia spp). If given monthly, Milbemax protects dogs against all of the above, as well as heartworm (Dirofilaria immitis). 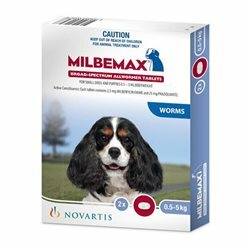 Milbemax for dogs comes in two tablet formulations. Milbemax for dogs can be used in males and females from 2 weeks of age and onwards, and from 0.5kg in bodyweight. Treatment is by mouth, and the labelled dose rate is recommended. The minimum dose is 0.5mg milbemycin oxime and 5mg praziquantel per kilogram of bodyweight. Or once a month for added heartworm prevention, preferably on the same date. Mature dogs should be tested for heartworm before receiving Milbemax for dogs. If a dose is missed, treat immediately and resume monthly dosing. Milbemax for dogs: blue boxes containing five blisters with 10 round white tablets each or 2 tablet consumer packs. Milbemax for small dogs and puppies: light-blue boxes containing five blisters with 10 oblong white tablets each or 2 tablet consumer packs. 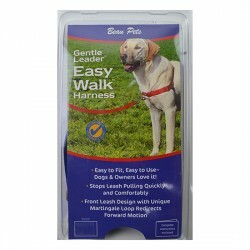 Milbemax for dogs has a satisfactory safety profile when used as per label directions. Milbemycin oxime has been safety tested in more than 75 different dog breeds, breeding males, pregnant and lactating females, puppies older than 2 weeks and ivermectin-sensitive collies. Clinical signs of toxicity may be seen at greater than 10 times the recommended dose. Praziquantel has been safety tested in breeding males, and pregnant and lactating females. Clinical signs of toxicity may be seen at 20-80 times the recommended dose. If an animal with adult heartworm infection (and therefore circulating microfilariae) is given Milbemax Dog, a mild transient shock-like reaction can occur. To avoid this, dogs should be tested for existing heartworm infection before starting treatment. This formulation is not suitable for use in cats. Milbemax has proven to be very effective and reliable. Tera just gobbles down her tablet without a fuss & she doesn't react like she did with the other treatment. 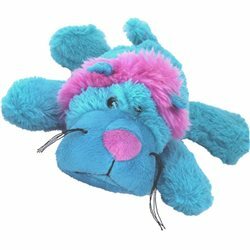 iPet Store has the best value for money when purchasing Tera's treatment.